Here is my outfit from the second day of the Audioriver festival. I was wearing a checkered shirt with longer back, tied the knot in front, jeans jacket, sequined leggings and purse-bag. This was a great weekend with lots of great music, which you can listen below. 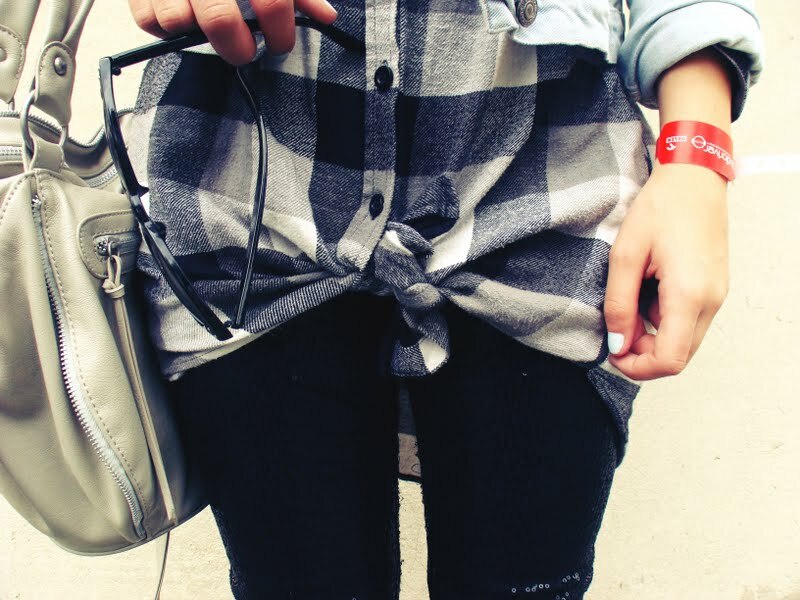 Cool outfit..Love the checkered shirt looks amazing! świetny look, torba najbardziej mi się podoba, z nowej kolekcji jest? Cool festival outfit. You look pretty edgy and cool. Świetny zestaw. Buty mnie zachwyciły!